Ambassador of Bosnia and Herzegovina in Germany, H. E. Amb. 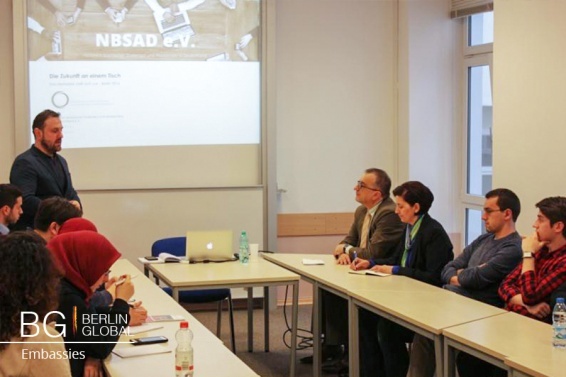 Željko Janjetović and Hajra Delić, counselor, attended the presentation of the Network of Bosnian Students and Intellectuals in Germany ("Netzwerk Bosnischer Studenten und Akademiker in Deutschland eV") on Saturday, which was held at the Islamic Cultural Center in Berlin. 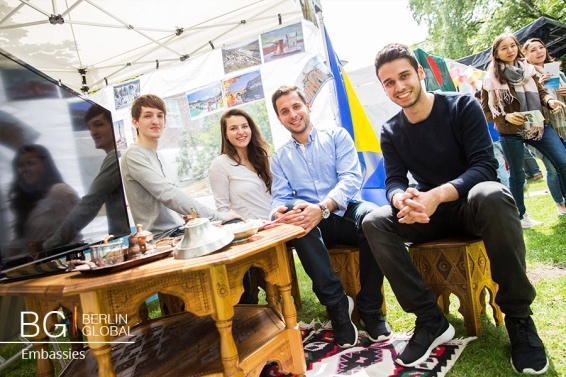 The Network of Bosnian Students and Intellectuals was founded in 2014 in Duisburg (North Rhine Westphalia), and its members were students, intellectuals and successful business people, who live and work in Germany. The network is a pioneer and a bridge builder - on the economic, social and cultural levels. It provides a platform for ideas, experiences and needs of other students and academics to be shared and deepened. The association currently has 75 members, and during the event Saturday, Ahmed Spahic, board member of the association, spoke about the work, objectives, results so far, projects and plans of the participants. The objectives of the network of BH students and intellectuals are connecting young and promising people in Germany and Bosnia and Herzegovina, enabling them to exchange knowledge and experiences, personal development through various workshops and seminars and networking effectively in order to create their own career, using the knowledge and experience of successful people. The network provides an opportunity to each member to share their experience, knowledge, and ideas and, as such, becomes a great source of information and opportunities for cooperation in the fields of economy, education, culture and so on. The end of the presentation was followed by a single presentation of all present and a brief address by H. E. Ambassador Zeljko Janjetović. H. E. Ambassador Janjetović expressed satisfaction to attend this presentation and promised to support the work of the association, adding that the presented objectives, projects and plans are impressive and promising. A special dimension of this association, as well as optimism that they will have success in its work, is the fact that the idea of establishing this network has come from young and successful people.